Food & Drink Resources develops menus and recipes for national (and global) restaurants. Being how we are located in Colorado, that has included cannabis-infused recipes, too. It’s been a huge learning curve for us, so we are sharing some of that knowledge in a series of blog posts here on the FDR website. Let’s start with this dictionary of cannabis terms. Balanced High – A cannabis that has balanced amounts of CBD and THC resulting in a mildly euphoric buzz versus a couch-locked high or head-high. Cannabidiol (CBD) – One of many chemical compounds found in the hemp and cannabis plants. CBD does not produce a high, but many people claim it produces calming effects and has medicinal qualities. Cannabinoids – Chemical compounds found in the cannabis plant. Cannabis – Refers to the plant and the drug. Same as marijuana and pot. Cannabutter – Because cannabis flowers must be de-carboned and paired with fat in order to produce a high, one of the most traditional methods for cooking/baking cannabis into food involves the infusion of cannabis into butter. Oil is also common. Concentrate – The good stuff (like CBD and THC) is extracted from the cannabis plant to create products such as shatter, distillate, wax, and oil. Some concentrates can be smoked/vaped on their own and other concentrates are used to create MIPs. Solvents like CO2 and butane are commonly used for extraction but solventless extraction is also employed. Couch-Locked High – A buzz from cannabis that results in a heavy euphoric feeling in the body versus a head-high. De-carbon (decarboxylation) – Eating or drinking raw cannabis buds will not result in a buzz. You must first de-carbon the flower, which you do by cooking the buds. Heat is required to activate the THC and CBD in cannabis (and then it’s added to fat, like butter or oil, since naturally-occurring THC/CBD is fat-soluble). Dispensary – A store that sells cannabis products for smoking or ingestion. Similar to a liquor store. Edible – Also called MIPs. Edibles are food products that contain either CBD, THC, or both. Flower – Also called a bud. The part of the cannabis plant most often smoked whole or ground. Generally Recognized as Safe (GRAS) – A Food and Drug Administration designation that says an ingredient added to food is generally considered safe and exempt from the requirements of the Federal Food, Drug, and Cosmetic Act. Some hemp-derived foods have been successfully marketed as GRAS. Hash – Sometimes called hashish or hash oil. Hash is made by separating the trichomes (sometimes referred to as resin) from the cannabis plant to create a brown, sticky substance that can be smoked or processed for ingestion. Some people say it results in a stronger, more intense high. Head High – An energetic buzz from cannabis that affects your thinking more than it affects the feeling in your body. Hemp – A type of cannabis plant harvested mostly for industrial and culinary uses and for CBD oil production. When consumed, hemp flowers do not cause a high. For those looking to cook with hemp, which is high in fatty acids and nutrients/minerals, see hemp seeds and hemp oil. Hemp Seeds – Hulled hemp seeds are also called hemp hearts. Said to have a nutty or earthy taste, hemp seeds are high in essential fatty acids, iron, zinc, and magnesium. Hemp (Seed) Oil – Oil produced from hemp seeds with a very low smoke point. Ideal for dressings and cold sauces. Hemp oil does not always contain CBD. Look for products labeled with “CBD hemp oil” if that’s what you’re after. Indica – Cannabis strains start out by falling into one of two big categories – sativa or indica. Indica plants are short and have broad leaves. When smoked indica flowers smell skunky. The high is usually described as a chill, couch-lock high. However, research is beginning to show that the different side-effects thought to result from the type of cannabis strain may actually be a result of other factors. Kief – A word used to describe a few different things (trichomes, trichome tips, dry resin, and even the soft bits left over after cannabis flowers are ground) but is generally understood to mean cannabis powder. Marijuana – Same meaning as the words “cannabis” and “pot” and used to refer to the plant and the drug. Some consider the term derogatory and prefer to use the word “cannabis” instead. Marijuana Infused Product (MIP) – A food or beverage, usually a consumer packaged good (CPG), infused with THC to produce a high in the consumer. Pulp – Cannabis that is leftover after making cannabutter or cannaoil using the cheesecloth method. Some incorporate the leftover pulp into breadcrumbs or blend it into soups and sauces. 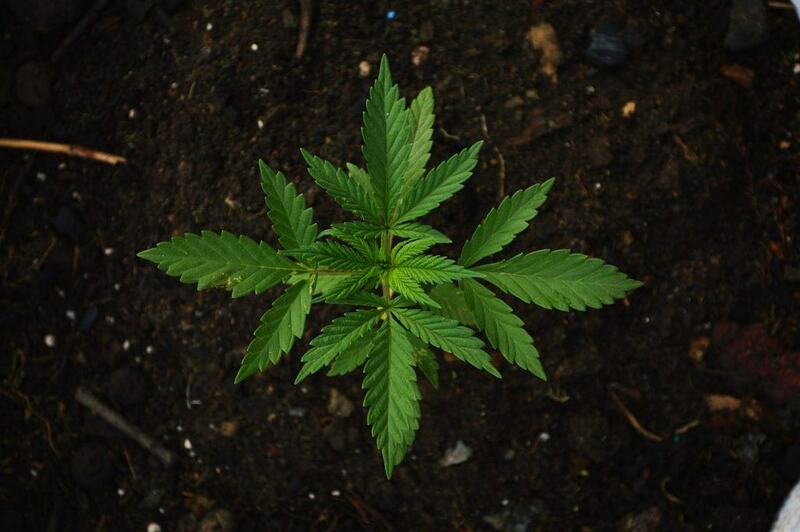 Resin – Cannabis plants (and other plants, too) have resin glands that produce a dark, oily substance that naturally protects the plant during its growing cycle. This part of the plant that has a high concentration of cannabinoids. Sinsemilla – The (seedless) female cannabis plant that produces the large flowers used to smoke or ingest. Strain – A strain is a type or variety of cannabis plant. So many plants have been cross-bred that there are thousands of strains out there, but most originate from the sativa and indica strains. Sativa – Cannabis strains start out falling into one of two big categories – sativa or indica. Sativa plants are tall and skinny with pointy leaves. When smoked sativa flowers smell sweet and spicy. The high is usually described as an upbeat head-high. However, research is beginning to show that the different side-effects achieved from different cannabis strains may actually be a result of other factors. Terpene – An oil released from the trichome that gives the flower its color and flavor. More than 100 cannabis terpenes have been identified that range in taste and odor from lemon to wood. Weather, dirt, fertilizer, and other factors affect the terpenes produced, which are different in every plant variety. It’s not just cannabis that produces terpenes. Fur trees and citrus fruits do, too. In fact, terpenes are often discussed in wine tasting. Tetrahydrocannabinol (THC) – One of many chemical compounds that is found throughout the cannabis plant (though, in varying amounts throughout the plant). THC produces a psychoactive effect when smoked or ingested. Trichome – A microscopic epidermal hair on the flower of the cannabis plant that produces resin, cannabinoids, and terpenes. Trim – The parts of the cannabis plant left over after harvesting the flowers. Sometimes used to make kief or resin that is then used to make cannabutter or hash. Disclaimer: Food & Drink Resources (FDR) does not promote, condone, or advocate drug use. FDR cannot be held responsible for material on its website pages or pages we provide links to that promote illegal activities.